If you’re looking for the best landscaping in Oakton VA, then you’ve come to the right place! 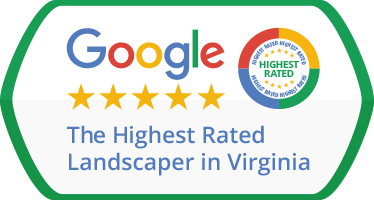 Green Hill Landscaping is a locally owned company, based on professional principles, which has been striving to make lawns in the Oakton area beautiful ever since it was first founded. Need a good landscaper? As a landscaping company with plenty of experience under its belt, Green Hill Landscaping offers the strongest guarantee in the business: the guarantee of quality. Forget about struggling to work with several contractors at once, in order to fulfill your lawn care and landscaping needs: once you try out our services, we’ll easily become your landscaping contractor of choice. So, why choose us, from the myriad of landscape companies out there? Because we base our mission and vision on quality. We dedicate all our resources to providing top quality work and services, be they for landscape maintenance, fertilization & weed control, mulch installation, flower planting, or landscape lighting. Our teams of engineers and technicians are ready and willing to help out with all your landscaping projects, no matter how simple or complex they might be – and irrespective of whether they’re for residential or commercial properties. We have handled landscape accounts for both categories of clients and invite you to check out our Happy Customers page, for testimonials of work we’ve put in in the Oakton area. 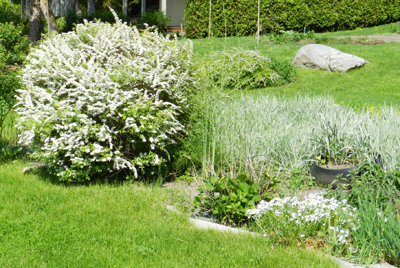 Your go-to contractor for landscaping. Oakton VA, we’ve got you covered. Aside from the guaranteed quality of our work, we also vouch for the integrity of our business model. We’re personable, friendly, and approachable, as we believe those qualities to be part and parcel of a good contractor-client relationship. Our client retention rate has been soaring for the past few years and we’re sure a lot of it has to do with the fact that we’ll never make you feel locked down in a particular contract. We’re here to address your specific needs and fulfill them, too, all the while making sure that you’re getting your money’s worth out of working with us. With Green Hill Landscaping, what you need is what you get: if you want a one-off lawn mowing session, we’re here to help. 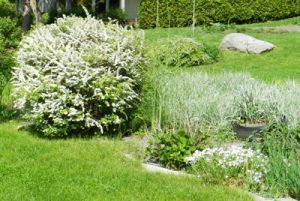 If you need irrigation services, are looking for a contractor that can provide spring & fall cleanups or mulch installation services, or even need seasonal flowers, we can handle that. We’re positive there’s some way we can provide you with the requisite assistance, so don’t hesitate, Oakton property owners: call us today!